Coming soon to Ricky's NYC Pinky Rose Cosmetics! 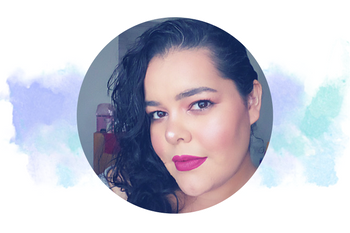 Pinky Rose Cosmetics is owned by three sisters that started their journey in 2014. Their dream was to open a store in Sacramento California, and they also launched their first lipstick line that's popular on social media. Since then they have their own eye shadow palettes, lashes and so much more. 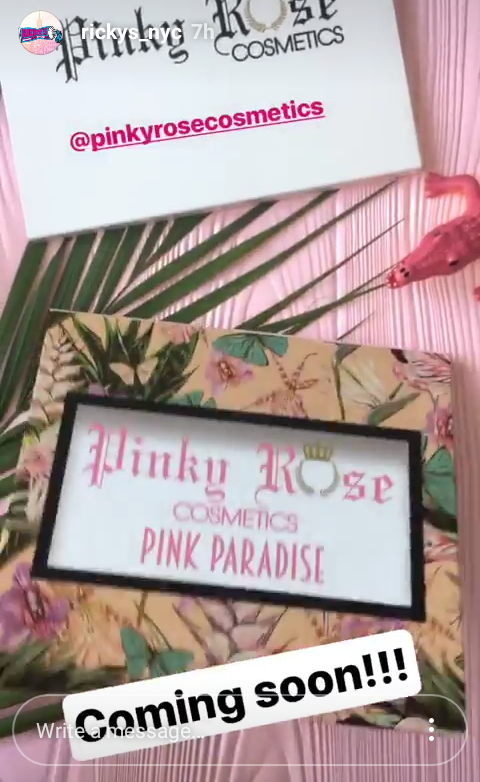 Ricky's NYC shared on their Instagram Stories that Pinky Rose Cosmetics will be sold at their stores soon. I've heard of Pinky Rose Cosmetics but have not purchased any of their products yet. 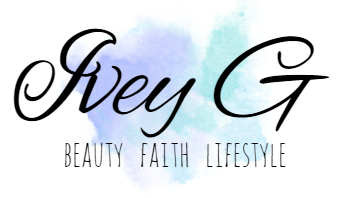 I love learning about new cosmetics brands/companies and I'm excited to see that they will be sold at Ricky's NYC stores soon. 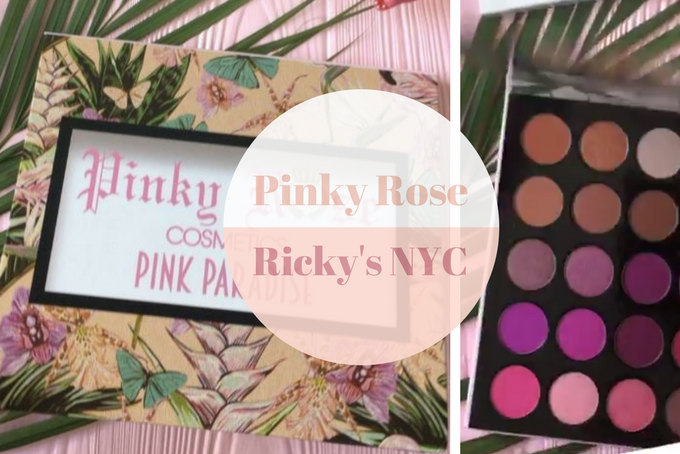 Ricky's NYC also shared a sneak peek of what looks like a new palette, the Pinky Rose Cosmetics Pink Paradise Palette. The packaging looks so beautiful and very unique. I'm happy to see something different that features bold, and pretty pink hues. 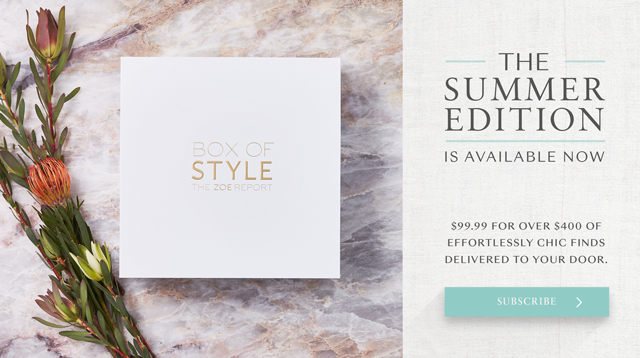 This looks like the perfect summer palette that you can use to transition into fall/winter since it also features burgundy, brown, and neutral hues. The exact date of their launch has not been stated. 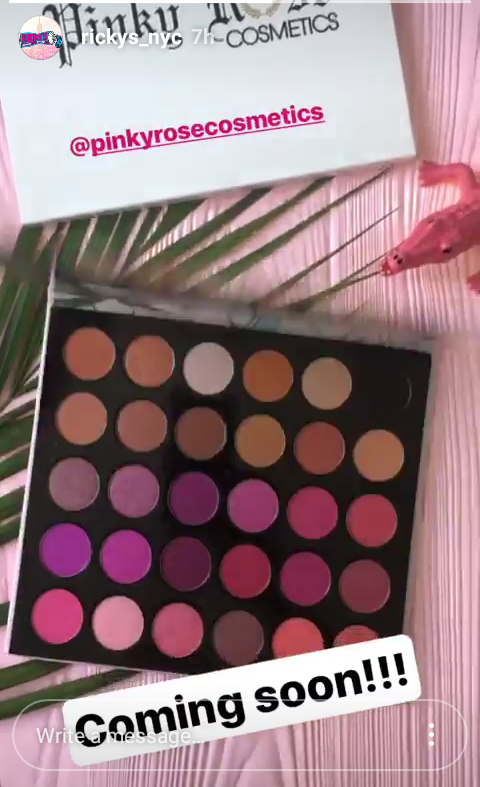 Are you a fan of Pinky Rose Cosmetics, and is the Pink Paradise Palette on your list?